fabulous house !!! 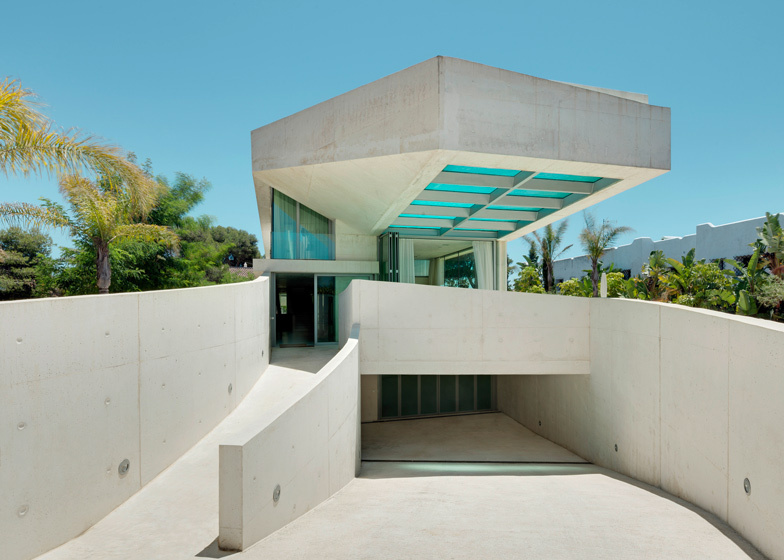 so many BIG modern houses under construction in the marbella area – White cubes !!! the earth is bare as the garden hasn’t been planted yet Katy 😕 😕 😕 it’s taken architects many years to convince owners/ developers to go modern and now it’s happening; just like LA, Cape Town, Sydney, balearics, South America ……. I honestly would love to stick some columns underneath that cantilever or remove the glass bottom – either one or the other. While I like most of his work, I find this one rather a boastful one. It is almost shouting “just cause I can”. Wait till the leaks start occurring – leaks started a few months after being completed at one of the cantilevered glazed swimming pools in Singapore, The Arris, and they are unable to resolve this multi-million dollar problem for years now. I had a look at a block between San Pedro/Estepona where the pool was on the roof of the building. Besides the very obvious issue of leakage a small leak could turn into a deluge & as a result all the apartments would have got damaged. The probability of this happening was extremely high due to the standard of Spanish building/plumbing. I don’t recall the exact location it was between La Plata & Kapinsky. On the south side of N340 and next to the road. pool on the roof which should have served around 50 flats. The size was not of a plunge pool. On my last trip the building is still standing minus the kitchen, windows,doors, sanitary ware plus the scaffolding.